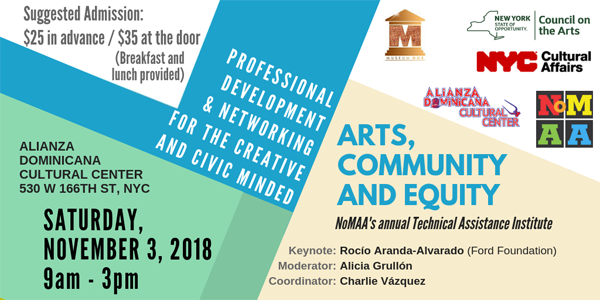 Listen up folks, NoMAA’s Technical Assistance Institute 2018 goes down on November 3, 2018 at the Alianza Dominicana Cultural Center (530 W 166th St) from 9 am to 3 pm. You don’t want to miss this full day of professional development and networking for the creative and civic minded. 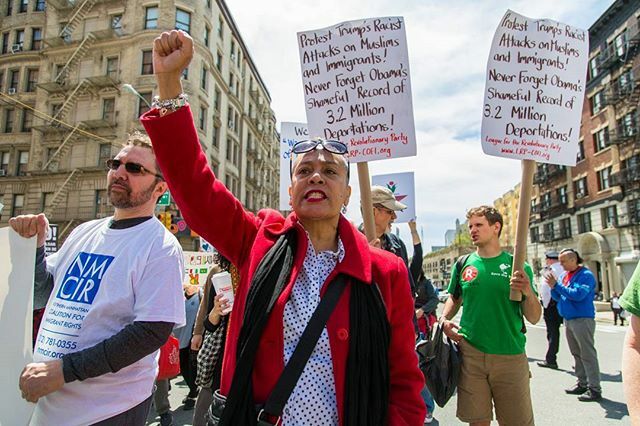 Rocío Aranda-Alvarado, who is a Program Officer at the Ford Foundation, will deliver this year’s keynote address. 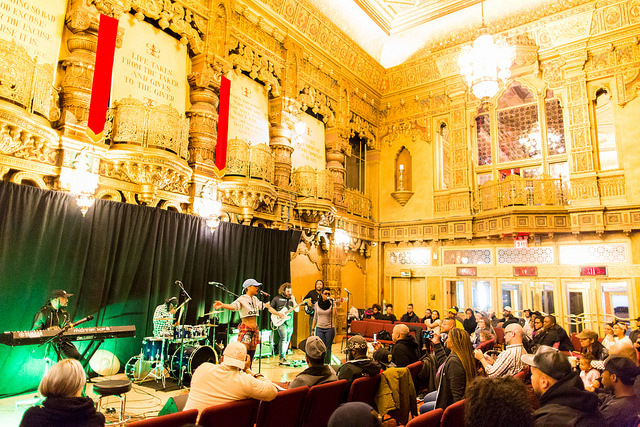 The Technical Assistance Institute 2018 also boasts some powerhouse panels that touch on such topics of tech, female artists, gentrification and the arts as healing practices.